Lanny here. Or, as I’ve been dubbed around the office coffee bar – LanTern. (Lanny + Intern). You’re welcome to call me either. Let’s talk about risky confidence. A bit of an oxymoron, I suppose. Typically, people aren’t exuding self-assurance while taking risks. But often times, flirting with mild danger is when I grow the most. So, I recently challenged myself to be risky on a daily basis. Failed immediately. Maybe skydiving, going to a Miley Cyrus concert, and skinny dipping were a little out of reach for the week. So, I decided to take risks on something I already do every day. Getting dressed. What I’ve concluded is that the absolute best way to wear anything is with confidence. Even if your style challenges the norm, stick with it. Be you. Be confident. And no one will question it. Here are seven style risks I’ve been taking. They all require minimal effort and cash. Get the look – boots and light denim. This may not seem like the riskiest move in the world, but I can’t step out in these Steve Maddens without receiving a compliment. They aren’t just fashionably rugged – I bought them for function at the first sign of winter. It gets cold in Nebraska. And by cold, I mean slap you in the face, bitter, freezing, cold. And I’m a weeny. I have a space heater consistently aimed at my toes. Buying a pair of boots was my way of rebelling against the winter weather. As a crazy person who used to wear boat shoes year-round, I’m not sure how I ever roamed around without these. Get the look – accessories. I get it. Accessories just seem a little feminine. Call it man jewelry. Or bro-cessories. Actually, maybe we should just stick with accessories. Man accessories are like running into an ex-girlfriend – it’s only weird if you make it weird. Remember, confidence. If you’re comfortable turning heads (but don’t want to wear something outrageous), toss on some accessories. 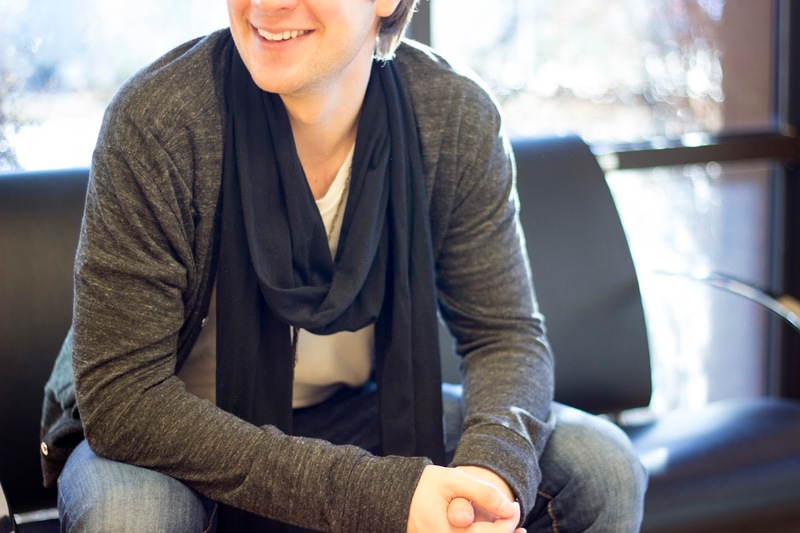 It’s fairly unexpected for a male to wear bracelets or necklaces on a daily basis. Chicks notice. I’ve also enjoyed getting to know the unspoken tradition of accessories. These things are full of stories. Many of my accessories have come from others. And I’ve given away plenty. It’s fun to hear the tales behind a seemingly casual wrist piece. Get the look – messenger bags. 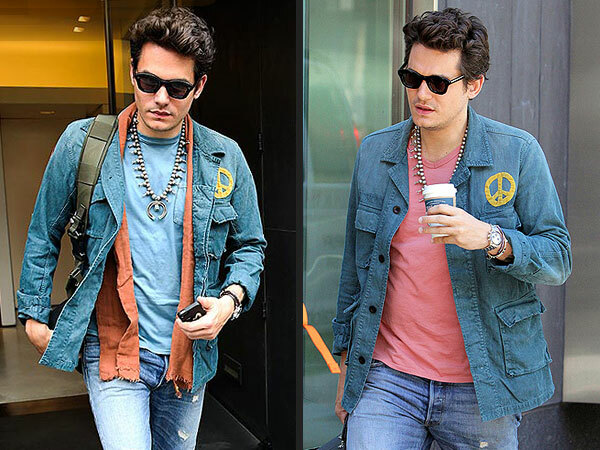 Get the look – military jacket and vneck. Look at this and you’ll understand the above “caught by the paparazzi” pose. It’s true. I have a little man-crush on John Mayer. I’m inspired by his music and his eastern style. Let’s be honest, we’re all secretly obsessed with the styles of our favorite Netflix series character, action-movie star, or musician. Why not pull from what they’re wearing? Celebrities are the kings and queens of taking style risks. Why? Because confidence comes with the profession. The sexiest way to wear anything is with confidence. So, become your own million-dollar stylist. Take screenshots or notes of a red-carpet outfit that drops your jaw. Then, next time you’re out shopping, piece together something similar. Get the look – vests and flannels. I have to admit, the vest and flannel have become my bread and butter. Every dude rocks the denim and button-up look on the weekend. I simply slip into this sleeveless wonder, add a necklace, and boom. A whole new look with almost no effort. The vest-flannel combo has become quite popular. But not necessarily for guys. I was timid to try on a vest for the first time. No sleeves? What’s the point? Get the look – destructed denim. Things I never thought would happen: space travel, a third Taken movie, and me wearing ripped up jeans. I’ve seen the science, and I’m still not totally sold on the moon landing. 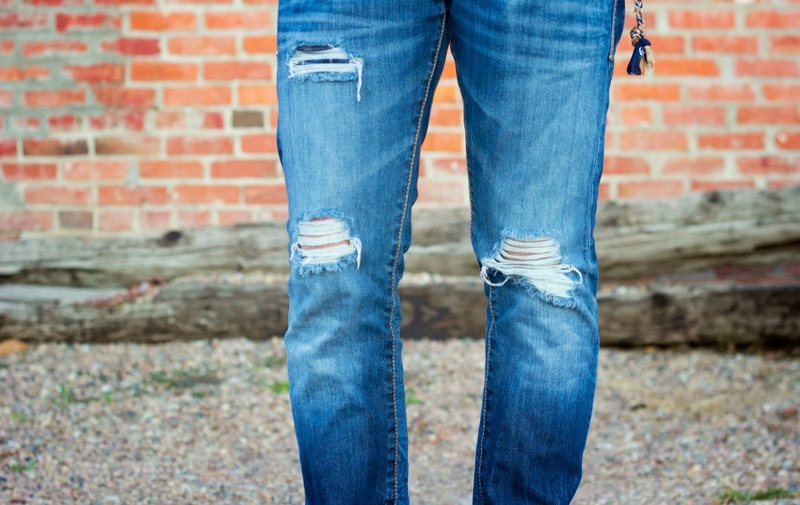 But destructed denim – whoa! You know the jeans in your closet you’ve had for years? Minus the memories, destructed jeans feel like that the first time you pull them on. So broken in. Ready to take on the world. Or, sit comfortably, cross-legged on the floor. Your call. Get the look – scarves, cardigans. Probably the scariest trend I’ve taken on thus far in my journey. Scarves are just so noticed. There’s no way around it. People will see your scarf first. But what’s worse than drawing a few unwanted eyes? Having a cold neck. My scarf-wearing career was initiated by Mother Nature. But I’m glad she stepped in. Anything that keeps me warm is a win in my books. Except snuggies. It’s only been a couple months, but I’ve enjoyed seeing my style evolve. Funny how “taking style risks” has filled my closet with things I’ve always wanted to wear. Leave me a comment. What risks are you taking? Then, share this with one of your friends who wants to try something new, but needs a little push to get there.